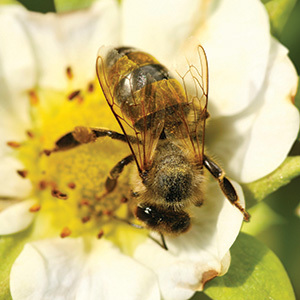 Beekeepers are often approached about winged, flying creatures, especially in the spring and summer period, when these generate a lot of activity. This part of the BurtonBKA website is to help you find out what kind of insect you have and therefore what to do about it. 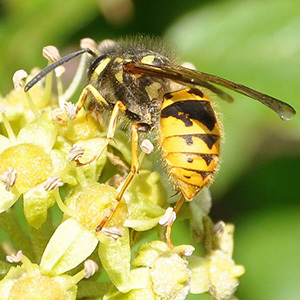 The most common insects are honeybees, bumblebees and wasps. There are other kinds of insects that are confused with these. This section shows how to tell them apart and what to do after that. ﻿Bumblebees are often confused with honeybees. However they are rounder, larger and furrier and come with a variety of coloured stripes across the end of their tails. Are they in a bird box, under the decking, in the compost? Leave them alone if possible. Bumblebees are an important pollinator and rarely sting. 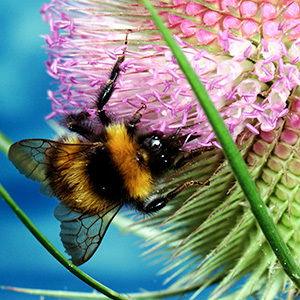 Bumblebees are under threat of extinction. Are there lots of small bees popping in and out of the wall or very small holes in the ground. Do they have a reddy/brown bottom? Are they almost black? 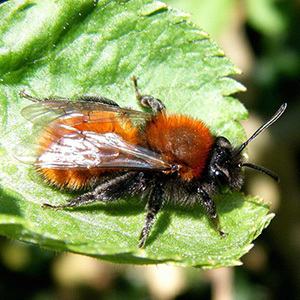 These are Solitary Bees, they are harmless and as their name suggest live more or less alone. They aren't interested in you and should be left alone. Beekeepers will not collect/remove Wasps. For more information about wasps go to BWARS. Are they very big with a loud buzz? Are they black and brown with a hint of orange? Living in the roof or shed? Do they have a very big curved tail? These are Hornets. 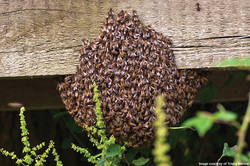 Beekeepers will not collect/remove Hornets. For more information go to BWARS. Are they dark brown or black with a velvety body? The queen is up to 30mm long and worker up to 25mm long (smaller than the European counterpart). 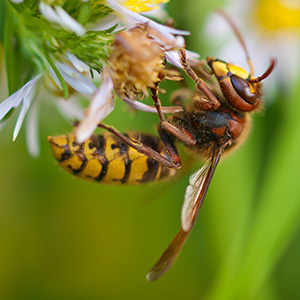 Are the legs yellow at the ends (the European hornet has brown legs)? Do not disturb an active nest. 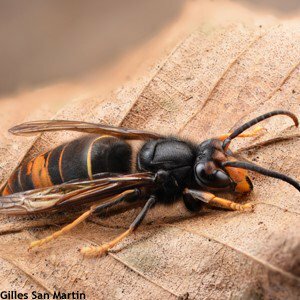 If you suspect you have found an Asian Hornet please send a photo to alertnonnative@ceh.ac.uk.